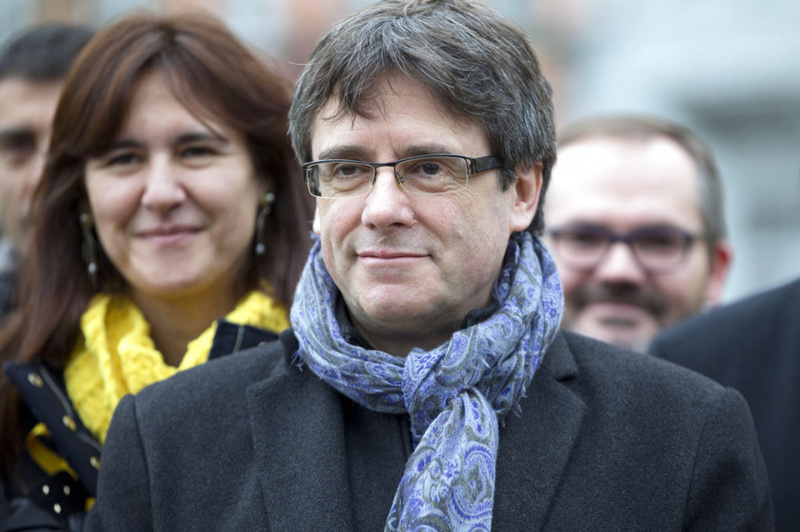 BARCELONA, Spain (AP) — Carles Puigdemont, the fugitive ex-leader of Catalonia and ardent separatist, was arrested Sunday by German police on an international warrant as he tried to enter the country from Denmark. His lawyer, Jaume Alonso-Cuevillas, said Puigdemont was on his way back to Belgium where he has been staying since fleeing Spain following a failed bid by his regional government in October to declare independence from Spain. A Spanish Supreme Court judge reactivated an international arrest warrant for Puigdemont on Friday when he was visiting Finland. Arrest warrants have also been issued for five other fugitive Catalan separatists. He had wanted to be re-elected as Catalonia's regional boss— albeit while remaining abroad to avoid arrest — but eventually was stopped by a Spanish court. Aritz Parra in Madrid and Kirsten Grieshaber in Berlin contributed to this report. This story corrects that Puigdemont was entering Germany, not Denmark.